A survey has found that four out of five sourdough loaves bought in supermarkets do not have the correct ingredients to be classified as sourdough bread. In recent years sourdough bread has leaped out of artisanal bakeries and into our supermarkets as more and more people are looking for this particular loaf but at a lower price. It’s known to be the perfect based for your smashed avocado and it has great health benefits too. Not only is sourdough bread more nutritious than your average loaf of sliced white bread, it’s easier to digest too. But anyone who knows a thing or two about their bread, will know that a good loaf of sourdough doesn’t come cheap. You can pay upwards of £5 in some bakeries and that isn’t affordable for many families. Many supermarkets have cottoned on to the nation’s appetite for sourdough and have launched their own in-house alternatives at much cheaper prices. And while in theory this is brilliant news, the reality is a little more disappointing. An investigation, conducted by consumer watchdog Which?, found that 75 per cent of supermarket sourdough loaves they tested did not contain the right ingredients. 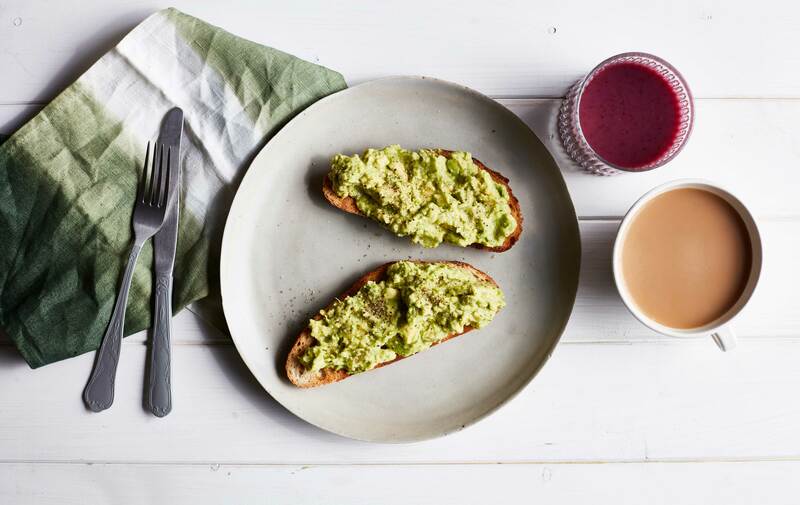 Check out our avocado recipes so you can do more than just put it on your toast! Sourdough is not a protected term, which means that supermarkets can adjust the ingredients and still sell it as sourdough, even though their recipe is not inline with a traditional one. Of course, all breads can have different flavourings and adaptions but the Which? Investigation tested the loaves for four traditional ingredients, flour, water, salt and the starter culture, which are crucial to the sourdough recipe. Many of the supermarket loaves had additional ingredients like yeast, ascorbic acid, yoghurt and vinegar. In most cases these were added to speed up the rising process, boost volume and give a more sour flavour. These characteristics would traditionally come from the starter culture, which is a mix of fermented flour and water, but it takes time to develop. Out of the 19 loaves tested by which, the only four which passed the authenticity test were: The Celtic Bakers Organic White Sourdough bread, Sainsbury’s Taste the Difference Multiseed Sourdough, Waitrose 1 White Sourdough and Waitrose 1 Wheat and Rye Sourdough. Will this survey alter your sourdough buying habits or do the supermarket’s shortcut recipes not bother you? Head over to our Facebook page to share your thoughts!